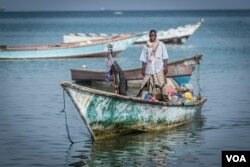 Fishing communities along Africa's coastline are at a greater risk of extinction as countries eye oceans for tourism, industrial fishing and exploration revenue to jumpstart their "blue economies," U.N. experts and activists said on Monday. "There is a great risk and a great danger that those communities will be marginalized," said Joseph Zelasney, a fishery officer at U.N.'s Food and Agriculture Organization (FAO). "The resources that they depend on will be decimated," he added at a side event at the Blue Economy Conference organized by Kenya, Canada and Japan in Nairobi. "There is a great worry that we could see privatization of areas that were previously open to these communities," Standing told the Thomson Reuters Foundation. "We need to have a radical vision that values communities and livelihoods or they will become extinct."